Clement Browne has completely stripped back the idea of interior decor, and in the process, successfully created a place for shutters in cutting edge design. 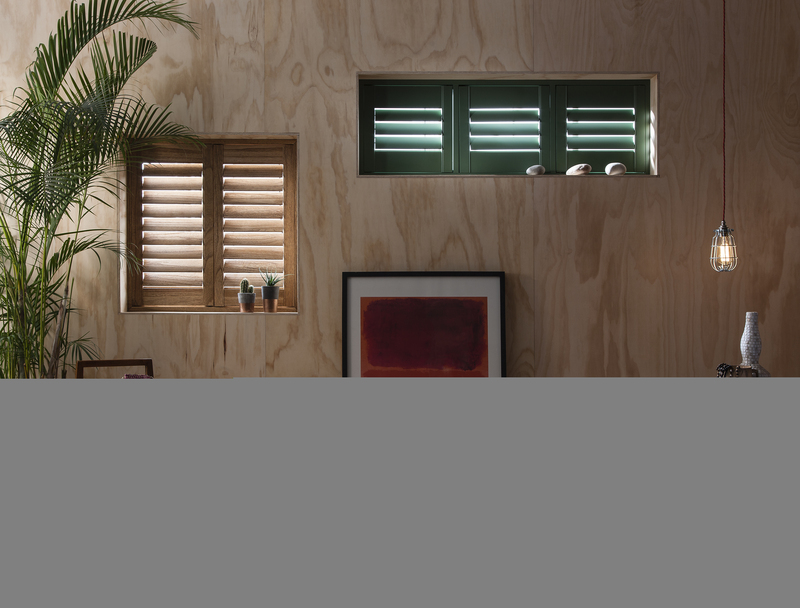 Reinterpret how to use shutters in the home with bespoke shutter company Clement Browne. 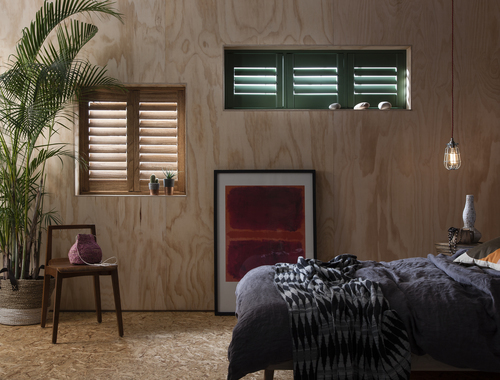 No longer confined to large bay windows, add a contemporary edge to smaller shutter styles by balancing raw wood with hints of colour for a visually striking décor. Taking the trend for natural materials in the home as far as it can go, the minimal furnishings work together to ensure that the dominant textures used in the room’s design offset the muted colour palette. Simultaneously unique and authentic, Clement Browne celebrates the versatility of shutters by proving that there is no space too awkward. Offering a tropical interpretation of mid-century design, the carefully peeled, smoother wood grain on the walls contrasts against the more unfinished industrial plywood finish on the floor. Using materials that are usually hidden away by paint or plaster, Clement Browne has completely stripped back the idea of interior decor, and in the process, successfully created a place for shutters in cutting edge design. For a custom colour finish, £100 will be added to total price. This press release was distributed by ResponseSource Press Release Wire on behalf of Clement Browne in the following categories: Home & Garden, for more information visit https://pressreleasewire.responsesource.com/about.